If you live within the Greater London area and are in need of the services of an experienced and highly qualified counsellor or psychotherapist then Ulla Andrews can help you. 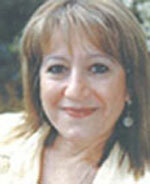 Ulla has been registered with the UKCP (United Kingdom Council for Psychotherapy) since 2000. This is the umbrella organisation that holds the national register of psychotherapists and psychotherapeutic counsellors, who have met the organisation's exacting standards and training requirements. Ulla's approach, as a counsellor, psychotherapist and supervisor, is integrative and transpersonal. She draws on many different modalities in her work and incorporates the use of symbolism, creativity and dream work. Ulla is highly adept at providing therapy for individuals, couples, children, adolescents and parents. Arrangements can also be made for counselling by telephone, if required.